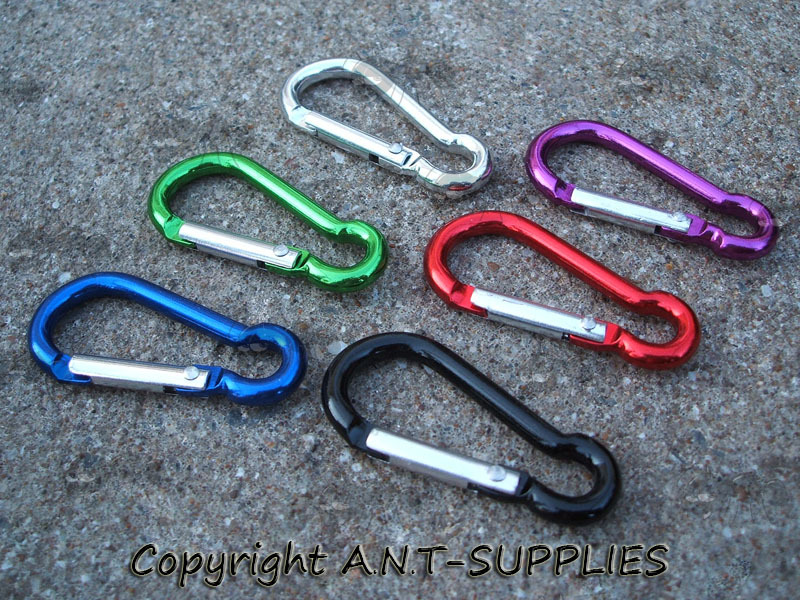 A new range of Carabiner (Karabiner) type clips. 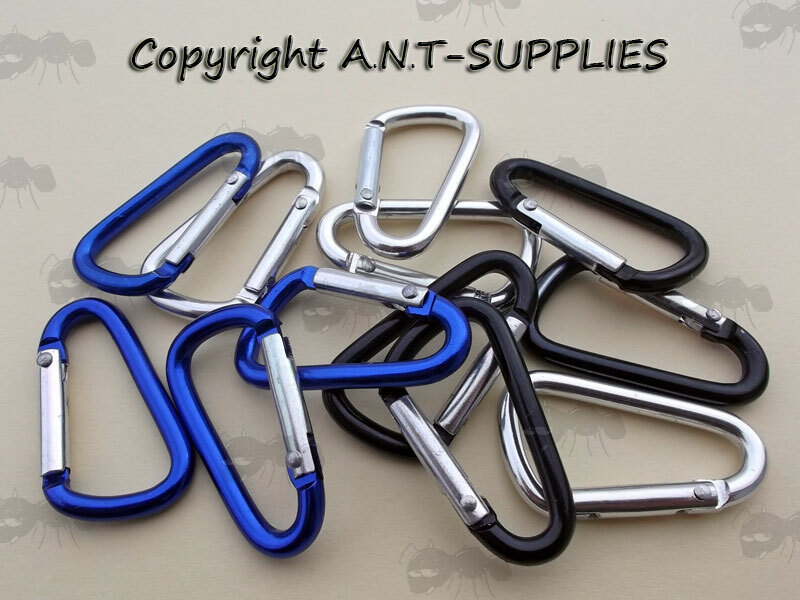 Also available ~ Hiking carabiner clips. 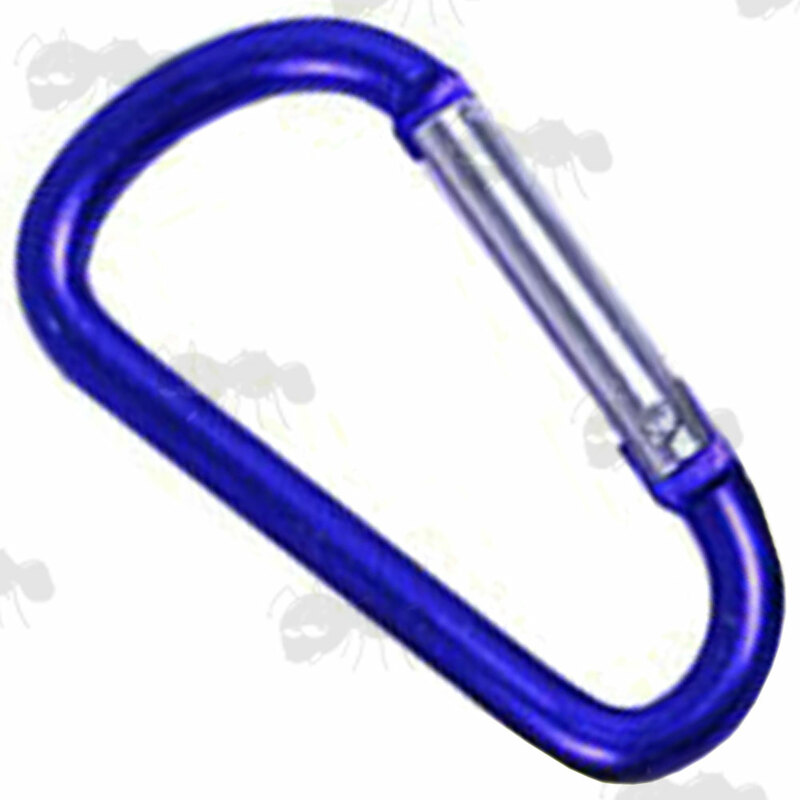 Next > Small 'D Shaped' Hiking Carabiners. Customizable three-digit PIN number (000~999). The default PIN is 000. 7mm thick x 95mm long. To change PIN, release the lock and change to our desired pin while holding down the hidden switch inside the lock's connector. 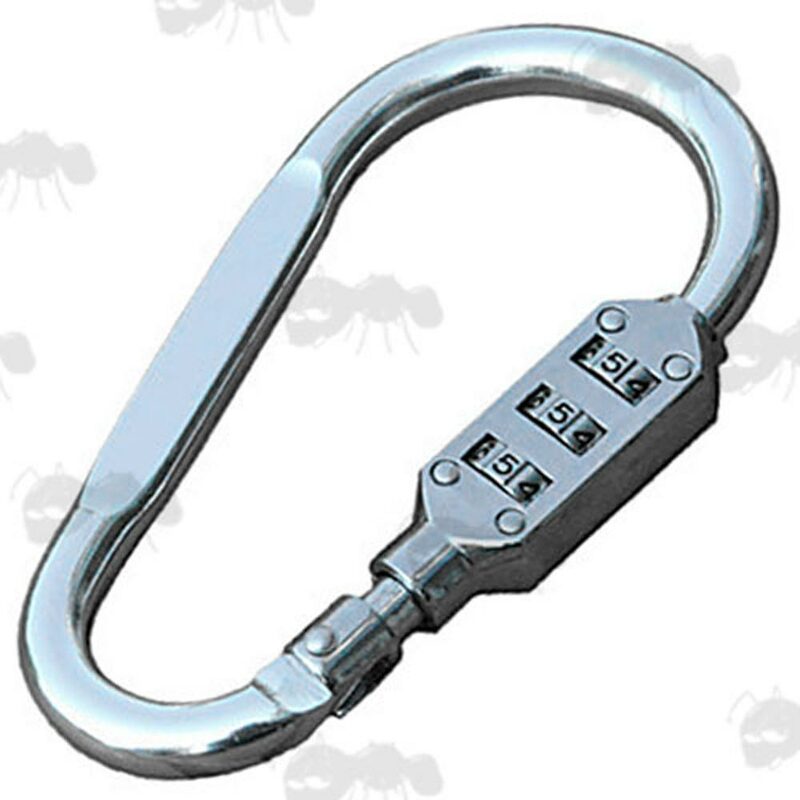 If the lock does not open with the default PIN, make sure the lock is facing you the right way. The lock should be on the left side when facing you. 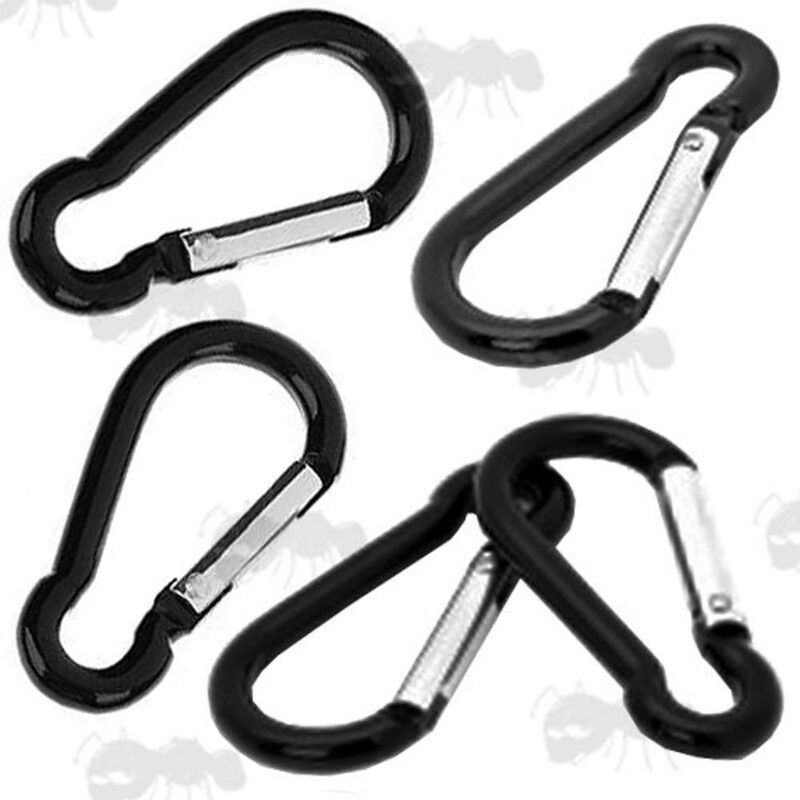 Next > Five 'Pear Shaped' Hiking Carabiners. 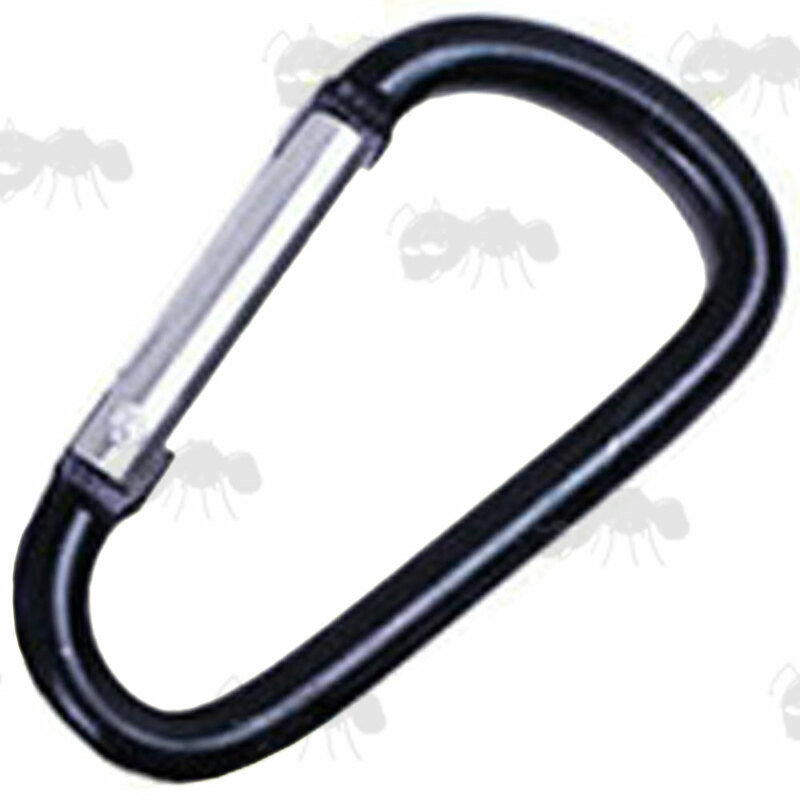 D-ring carabinas with silver gates. Aluminium construction with a sprung swinging gate opener. 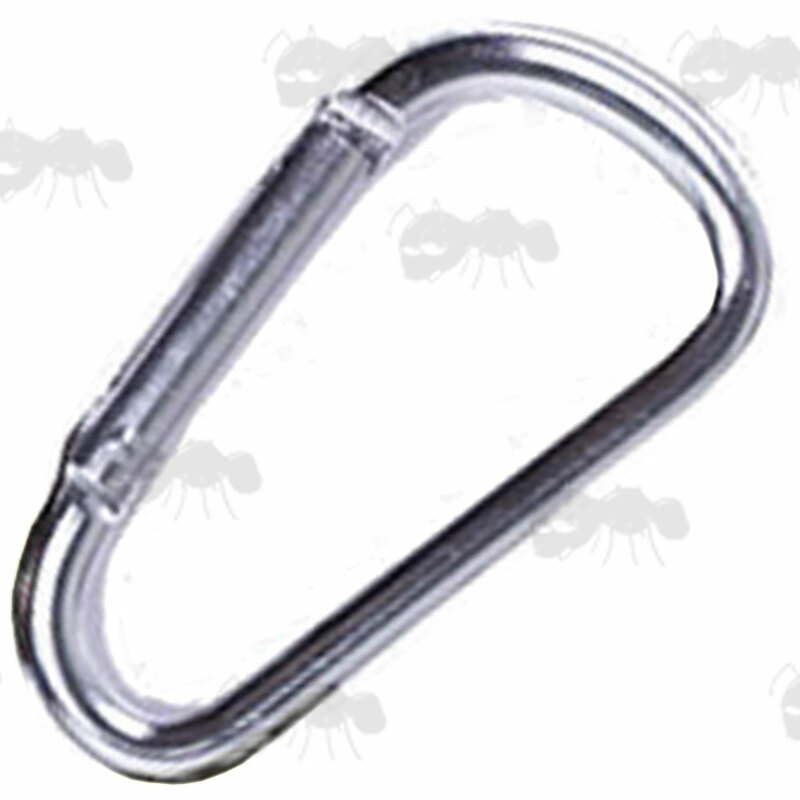 3.5mm thick x 38mm long. 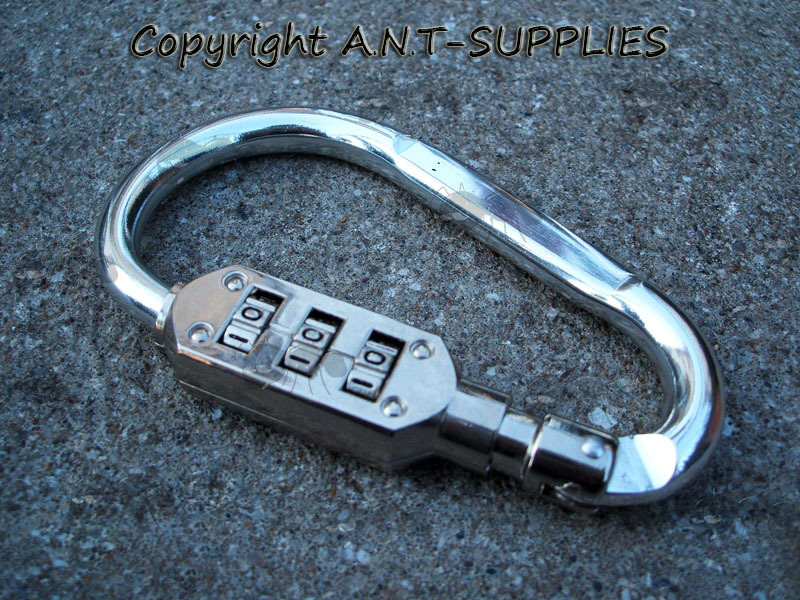 Great universal connector for hikers water bottles, keys, tools etc. Please note these are note for climbing. 5mm thick x 60mm long.